Diabetics can still sail! My blood sugar level was 17 after breakfast, and 5 after sailing. Think I still have a thing or to to learn about glucose control! I’ve spoken to a few of people with type 1 now, and they both seem very relaxed about the condition. A colleague at work (he’s known as “Hammer”) has it and having him sat two metres away from my desk has been fantastic. He shows me his blood sugar readings and explains his management strategy to me. He also appears incredibly relaxed about his condition, which is fantastic because that has rubbed off on me a bit. Another person with type 1 who I’ve exchanged emails with, and who I will speak to in a couple of weeks is a chap called Gavin. He recently completed (and organized himself) an endurance event where he ran 30 miles a day for 30 days. From John O’Groats to Lands End. An incredible feat for anyone, and I’m hoping to get some tips from him on how he managed his diabetes whilst running. People like Gavin are inspirational because they have harnessed their diabetes to achieve great things. Since being diagnosed myself, I have discovered a huge motivation to do big things as well. For example, I had entered the ballot for the 2014 London Marathon anyway, but now I’ve got diabetes, I REALLY want to run it. Running a marathon is obviously a long way off a feat like the 30-30 that Gavin did, but it’s a good first step, and I’m going to learn a lot about my body and my diabetes as I train. Within a week of my diagnosis, I contacted JDRF to ask if I could run for them. JDRF are a (they say “the”) type 1 diabetes charity. They are an international organization whose mission it is to help find a cure to, and improve management of, diabetes. They also aim to make life easier for type 1 diabetics by giving them a voice. They both fund research directly (they have given £1bn in grants over the years), and work with pharmaceutical companies and lobby the government to give more funding for research. On the day of diagnosis I was given a plastic folder supplied by JDRF with loads of information about type 1, including a really useful book covering everything from diagnosis, to diet, to medication, to the complications that can develop. I am also hoping to participate in a research trial funded by JDRF. I will post more details on that later. So I was delighted to be offered a marathon place by JDRF. Especially as I’ve only known about my condition for less than two weeks so they have no idea whether I’ll be able to finish or even train properly for the event. Luckily I managed to run 16 miles in the first half of this week without major incident and I’m just delighted to be back running. I’m really looking forward to running longer distances and seeing what effect it has on my blood sugar. 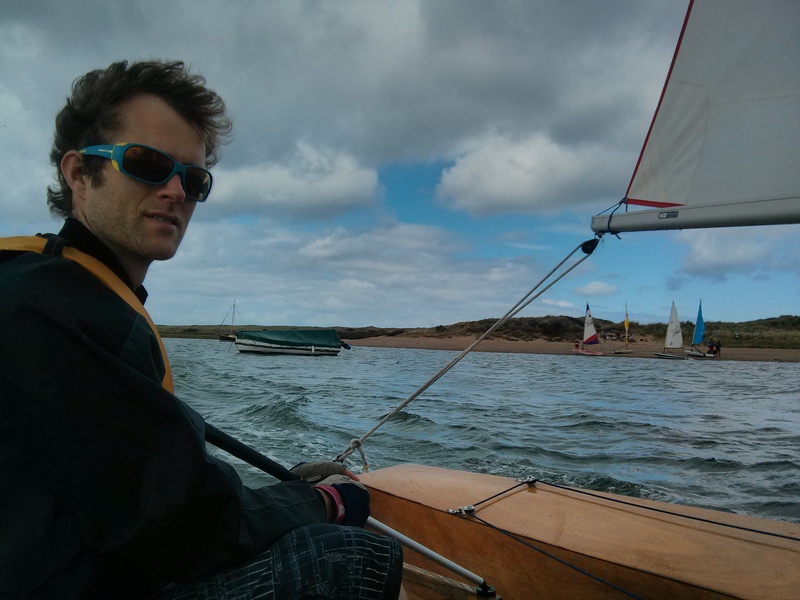 On a different note, I went sailing in my in-laws’ dinghy today. My wife Emily indulged me by letting me helm. When you’re a diabetic, I’m told it’s sensible to always carry something sugary to treat a hypo, and I also wanted to carry my blood testing kit too. 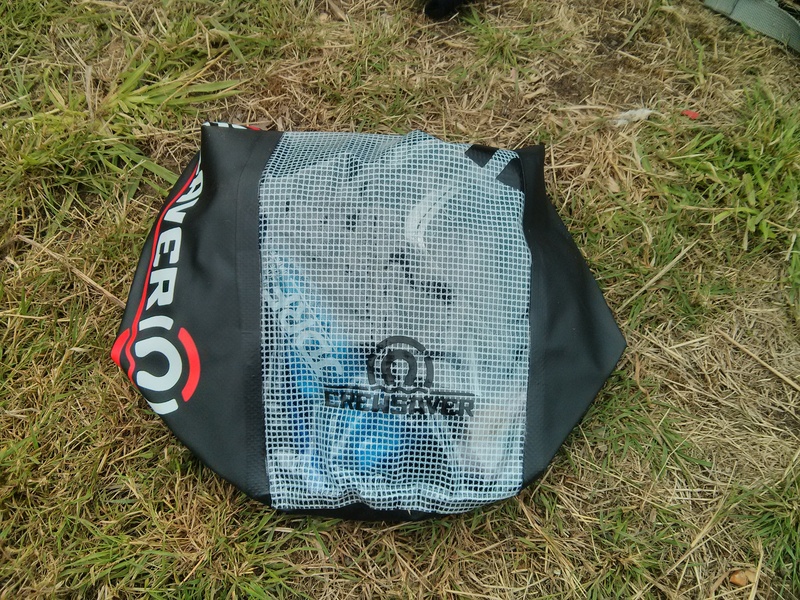 So I bought this nice waterproof bag to carry everything in the boat. I have the feeling I’m going to acquire a lot of diabetes-related kit over the next few months! Anyway, it was great to get on the water.